1. Visiting the Harold Washington Library! 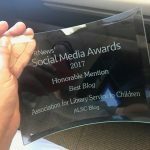 The new children’s space at the Harold Washington Library opened recently to patrons, and it is an inspiring and innovative space. Among the shelves of books are dozens of play spaces for all ages ranging from birth to tweens. Parents and children were playing together building towers, making crafts and exploring engineering concepts through play. The Tween area had a green screen and audiovisual equipment for us in making productions. The library staff were interacting in these play spaces and prompting play and ideas. It was amazing! Also, I had to take a picture in front of the puppet theater since it had my name on it. I came a day early to the conference to enjoy an afternoon baseball game at Wrigley Field, eat a Chicago style hot dog and spill plenty of mustard on my outfit (it’s a right of passage I think). My husband and I walked all around the Magnificent Mile, Navy Pier and Millennium Park. After working up an appetite we visited Lou Malnatis for some classic Chicago deep dish pizza. It was the most delicious pizza we had ever had (plus I sent a picture of Bobby Knight’s red sweater to my Mom who graduated from IU’s Library School in 1972). We were also able to make a trip to see Hamilton, and the Chicago cast was INCREDIBLE!!! 3. Newbery/Caldecott/Laura Ingalls Wilder dinner and speeches! This was a dream come true for me! I was sitting at a table with Lauren Wolk (whose book Wolf Hollow moved me deeply), a fellow ALSC scholarship award winner and three members of the Newbery committee. 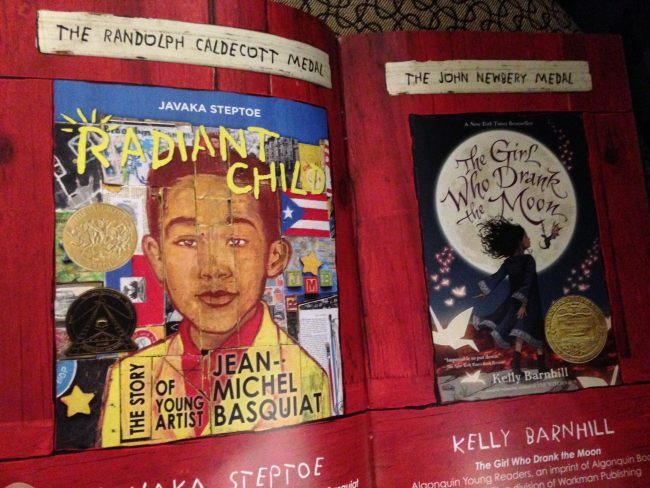 We talked books, ate a wonderful meal and shed tears and shouts of joy at the wonderful speeches given by Javaka Steptoe, Kelly Barnhill and Nikki Grimes. 4. Sibert/Batchelder/Geisel Medal winners and speeches! It was completely worth it to wake up extra early on Monday morning to listen to the speeches for the Sibert, Batchelder and Geisel Medal winners. Being from Alabama, I was especially moved by John Lewis and Nate Powell who won the Sibert Medal from March: Book Three. I was also beyond delighted to see my library school professor from the University of Alabama, Jamie Naidoo, present the Batchelder award to a magnificent picture book called Cry Heart, But Never Break. The Geisel Medal winner, Laurie Keller was hilarious and delightful, carrying with her a cutout Mo Willem to accept the award alongside her. The most exciting part of the ceremony was that I ended up sitting next to Tom Angleberger and Cece Bell, who are probably one of the greatest children’s literature couples to exist ever! Although I did not work up the courage to say more than “I like your origami yoda” or “El Deafo was amazing,” I still feel like being in their presence was present enough for me! 5. Meeting some of my favorite authors/illustrators! I was able to meet Greg Pizzoli, Dan Santat, Peter Brown, Bryan Collier and Marla Frazee in the bustling and vibrant vendor section of ALA. Now I have some of my favorite books signed by some of my favorite illustrators and authors to bring back to Homewood Public Library with me! 6. Meeting the NASA @ My Library/Star Net folks! Homewood Public Library is one of 75 libraries to receive the NASA@ My Library grant, so I was especially excited to meet Anne Holland and all of the NASA@ My Library team who have worked so hard to put this program together. It is nice to put a face to the people that you spend so much time emailing with at work! 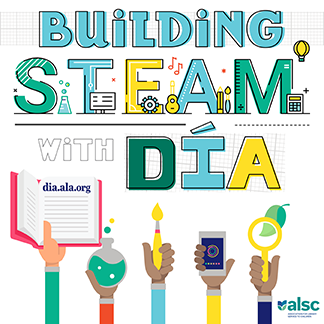 ALA 2017 was an energetic and vibrant conference that inspired me to try new ideas in my library. Through this experience I have gained knowledge that I cannot wait to bring home with me to Alabama! 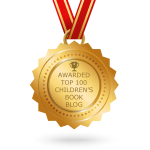 Our guest blogger today is Laura Tucker. 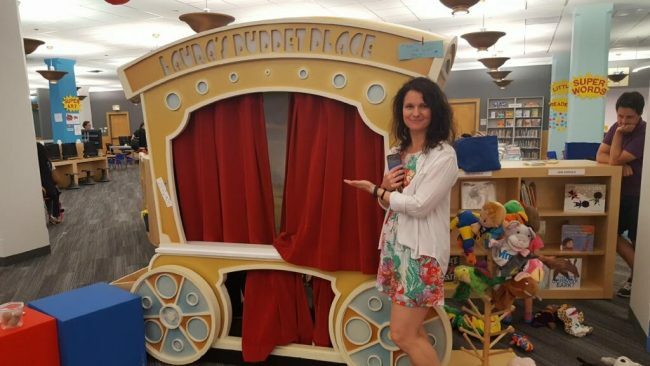 Laura is the Head of the Children’s Department at Homewood Public Library outside of Birmingham, Alabama and a recent recipient of a grant from ALSC and Penguin Random House, enabling her to able to attend her first national library conference. Notable Children’s Digital Media Committee wants your Apps!